Even now, 100 years on from the conflict, the image of trenches stretching across Western Europe - packed with young men clinging to life in horrendous conditions - remains a powerful reminder of one of the darkest moments in human history. 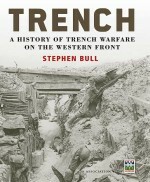 In this excellent study of trench warfare on the Western Front, expert Dr Stephen Bull reveals the experience of life in the trenches, from length of service and coping with death and disease, to the uniforms and equipment given to soldiers on both sides of the conflict. He reveals how the trenches were constructed, the weaponry which was developed specifically for this new form of warfare, the tactics employed in mass attacks and the increasingly adept defensive methods designed to hold ground at all cost. Packed with photographs, illustrations, annotated trench maps, documents and first-hand accounts, this compelling narrative provides a richly detailed account of World War I, providing a soldier's-eye-view of life in the ominous trenches that scarred the land. Dr Stephen Bull is Curator of Military History and Archaeology for Lancashire Museums, with particular responsibility for local regimental collections. Currently he is engaged in the redisplay of the Museum of Lancashire, including a new gallery on World War I. He has previously worked at the National Army Museum and BBC in London. A Member of the Institute of Archaeologists, he has also appeared in the TV series Battlefield Detectives. 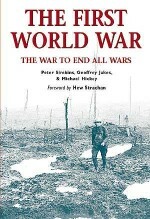 He has written numerous articles for specialist journals, including a number on the weapons and tactics of World War I. 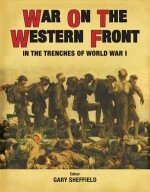 His other books include six Osprey titles, two on World War I, and four on World War II.